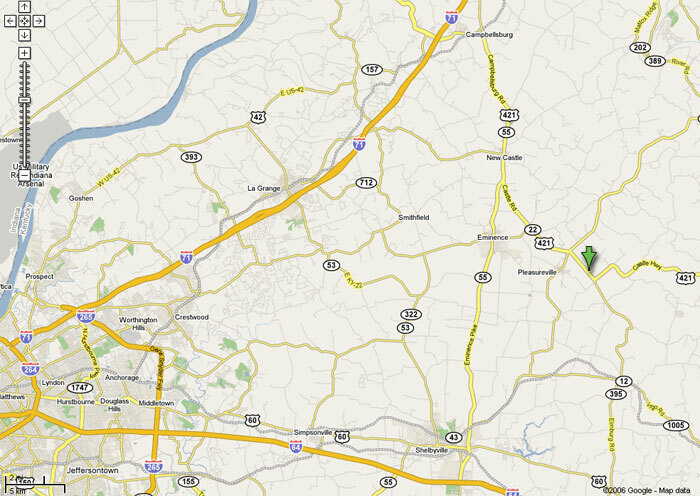 We are located just outside of Pleasureville on US-421, traveling towards Frankfort. 1.2 miles from the stop light. We are located on your right. • Bear right on 43. • Continue on 43 approx. 1 mile to 421. Turn left on 421. • The Meetinghouse is on the left. • Take I 64 east. • Turn left toward Shelbyville. • Go straight, crossing US 60. • Turn right on 43 at the second stop light after crossing US 60. • Stay on 43 to Cropper. • In Cropper, go straight to Pleasureville. This road will be 241. • The Meetinghouse is on the right.